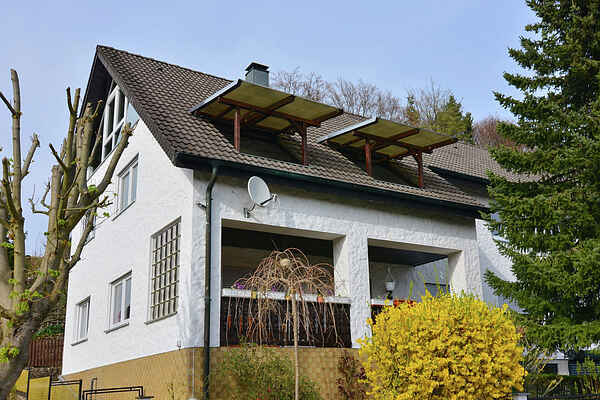 Gößweinstein is located in the heart of Franconian Switzerland, surrounded by beautiful and varied nature. The region is known as a hiking paradise with a large range of trails. Even the inns with refreshments leave nothing to be desired. Here you can spend your well-deserved holiday in this cosy and comfortably furnished apartment. You can relax in the large garden or have a barbecue after a busy day and enjoy a glass of wine. Whether you want to relax or go on exciting day trips in the area, the apartment is the ideal base camp for countless varied activities: hiking, archery, climbing park, cave tours, summer toboggan run, swimming, amusement park. Popular destinations: numerous castles, museums and palaces, recreational and wildlife parks or the cities of Bayreuth, Kulmbach and Bamberg. In short: the perfect holiday for young and old with welcoming and comfortable accommodation. It is not possible to charge an electric vehicle here.